A former "Power Rangers" TV actor who pleaded guilty to killing his roommate earlier this month was sentenced Thursday to six years in prison. 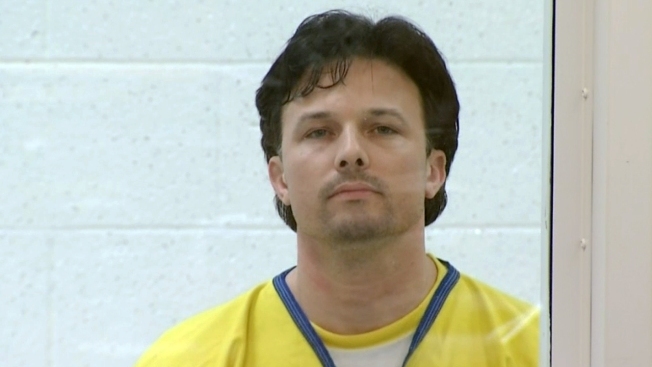 Family members of the victim were in court as the sentence was read for thirty-eight-year-old Ricardo Medina, who entered a plea deal on March 16 in Los Angeles County Superior Court to voluntary manslaughter with the use of a sword, the weapon used in the fatal stabbing. Prosecutors said Medina stabbed Joshua Sutter several times in the abdomen two years ago at their house in Green Valley, a mountain town north of Los Angeles. Several family members, including his mother, father and sister, spoke in court. Medina did not look at them as they spoke about Sutter and the sentence, which they called a slap on the wrist. "He chose to grab a 3-foot Samurai sword and catapult it into my brother's abdomen, in and out, right to left, making sure to penetrate every vital organ," Sutter's sister said in court. The two had argued over Medina's girlfriend, who also was in court for the sentencing. "You will forever be a violent, sick, disturbed, poor-excuse of a man that no punishment can justify your being," she said. Medina's attorney said his client never veered from a his claim of self-defense. "It would have been better not to have been charged, but given the risks for any criminal trial, in that respect he was indeed very fortunate," said attorney Stanley Friedman.